In my last post, we looked at the hymn, “Come, Christians, Join To Sing” focusing on the last line of the first verse which says, “Praise is His gracious choice. Alleluia amen.” We saw from Scripture that it is God’s sovereign choice that really matters but we must be cooperative participants in relationship with God. We then looked at some of the biblical meanings and usages for the word praise in the book of Psalms. We concluded that praise is a response to God’s gracious invitation to us to lift our eyes to Jesus our Savior despite our feelings or circumstances. In this and the next couple posts, we will be looking at 3 possible reasons for accepting God’s gracious invitation to lift our eyes to Jesus. So without further ado, let’s look at reason number 1 for accepting God’s invitation to praise. When was the last time you gazed at the starry night sky? Some scientists estimate that we can see as many as 3,000 stars at night with our naked eye. (That is, if we are outside the city.) Most of the time when we step outside our houses, we do not give them much notice. Against the pitch-dark backdrop of the of the night sky, the stars appear as barely visible specks of light. But let’s say you are able to use a powerful telescope to view the stars. 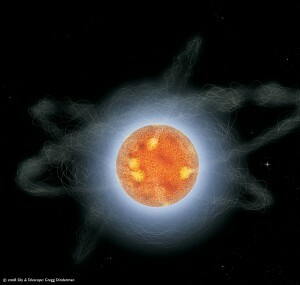 Upon zooming in, you come to the realization that this star is a ball of raging fire and gas brighter than your eyes can bear and unfathomably large. When viewed with the proper tool, we see the dim specks of light for what they really are. It is the same with God. God reveals just how big He really is through the prophet Isaiah saying, “‘For my thoughts are not your thoughts, neither are your ways my ways,’ declares the Lord ‘As the heavens are higher than the earth, so are my ways higher than your ways and my thoughts than your thoughts'” (Isaiah 55:8-9). And Paul, writing to the young pastor Timothy, says, “[…] [God] alone is immortal and who lives in unapproachable light, whom no one has seen or can see […]” (1 Timothy 6:16). But so often, God is one of those dim specks of light against the pitch-dark backdrops of our lives. We fail to notice Him in the midst of our sin, disobedience, and life’s circumstances. Besides, there are other “lights” that appear closer and brighter. In order to see our sin and life’s circumstances as they truly are, we must see God as He truly is. It is praise that enables us to zoom in and magnify the greatness and glory of God. When we do, all other things seem to fade away. Perhaps it was not a new revelation to the prophet Isaiah when he penned God’s words in Isaiah 55:8-9. After all, Isaiah had seen the Lord many years earlier. “And they were calling to one another: ‘Holy, holy, holy is the Lord Almighty; the whole earth is full of his glory'” (Isaiah 6:3). 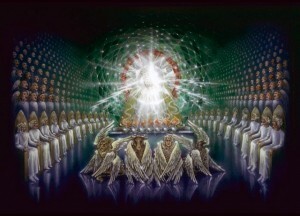 Isaiah sees the Lord seated on His throne, “high and exalted”. In other words, Isaiah saw God as he truly is; there was nothing Isaiah needed to do to make God high and lifted up because God already is exalted. We see the angels modeling praise. Remember from my last post that all of the Hebrew words for praise demand exuberance, excitement, and passion! Their praise was so loud and exuberant that “at the sound of their voices the doorposts and thresholds shook”! Isaiah responds in worship. 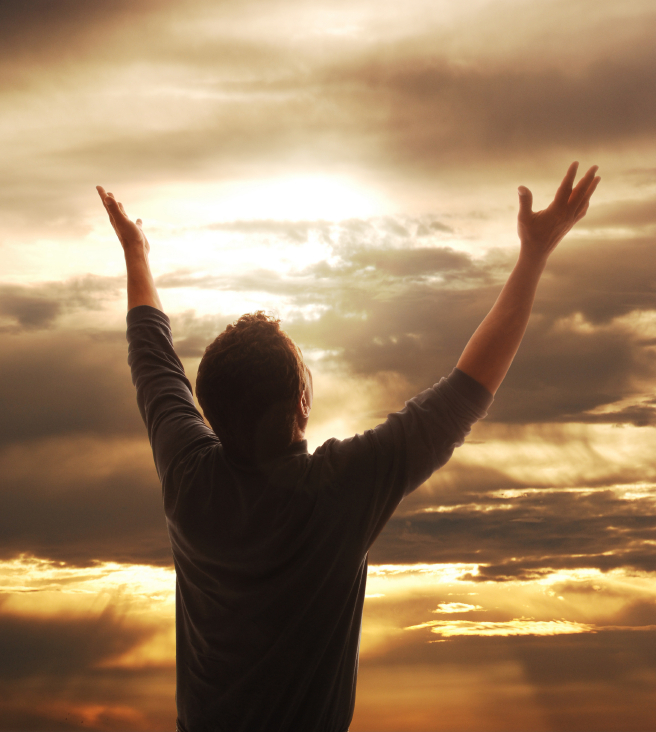 (We will explore the difference between praise and worship in a future post.) 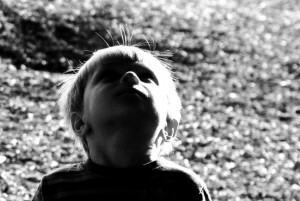 He realizes who he is in light of who God is. God is on the throne, high and exalted, and perfectly holy while in contrast, Isaiah is a sinner–a man of unclean lips. God is merciful and gracious. If we look at the Hebrew for Isaiah’s words, “I am ruined!” we find that it literally means, “I am about to be destroyed!” Isaiah knows that a holy God cannot have sinners in His presence but God takes away Isaiah’s guilt and makes atonement for his sin. God has revealed to us who He is primarily through His Word. The Bible reveals that God is holy, loving, just, eternal, glorious, exalted, loving, gracious, and merciful. Those are just some of God’s characteristics which we would not have known apart from His Word. Remember that praise is a response to God’s gracious invitation to us to lift our eyes to Jesus our Savior despite our feelings or circumstances. Regardless of circumstance or feeling, we remind ourselves through praise that God has revealed himself as holy, loving, just, eternal, glorious, exalted, loving, gracious, and merciful. We respond by celebrating, shouting and applauding, loudly commending and even dancing for joy because of who He is and what He has done for us. And in this way, we magnify our great and glorious God. During our evening worship service at Northbrook Alliance Church in Brooklyn Center awhile back, we did the song “Come, Christians, Join To Sing“. Growing up in the church, I have heard and sung this song many times. However, I never really focused on the meaning of the words particularly the last line of the first verse which says, “Praise is His gracious choice. Alleluia amen.” I always thought that this must be a typo or mistake in the song. After all, isn’t it our decision or choice to praise and worship God? Joshua sets before the children of Israel a choice. The correct choice was obvious to them as is evident from their response in verses 16-18 for none of the pagan gods had led them out of Egypt, performed miracles, given protection on their journey, or had driven out the other nations who lived in Canaan. The Israelites chose to serve the Lord on that day but we know from the rest of Scripture that they did not always follow the Lord. We see despite the fact that Israel had broken the covenant, which they vowed to keep, that God had been a faithful husband. Despite their sin and rebellion, it was God’s sovereign choice that mattered because He is a covenant-keeping God. So if God will keep His covenant, what did Israel’s choice matter? 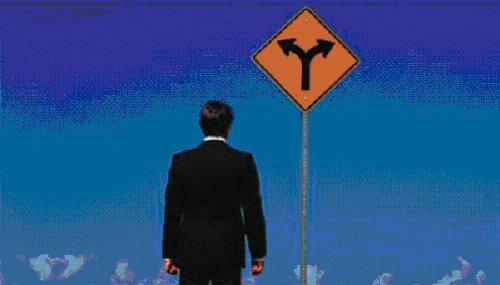 Why does our choice matter? The answer is quite simple actually: if we are reluctant participants in a relationship with God, any directive to be obedient would constitute coercion. God does not coerce but I do believe His grace is irresistible. Scripture says, “We love because he first loved us” (1 John 4:19). We must be cooperative participants in relationship with God. In English, the word “praise” simply means to celebrate, to adore, to extol, or to applaud. However, if we look at the Hebrew language, we find that there are many words which we have translated into our English word “praise”. All of the Hebrew words for praise are connected to an action and demand exuberance, excitement, and passion! Let’s take a look at some of the meanings and usage in the Old Testament book of Psalms of the Hebrew words for praise. Halal – This is where we get the word “hallelujah”. It means to praise the Lord by celebrating, by dancing and shining forth, by acting clamorously foolish. “Praise the Lord. Praise God in his sanctuary; praise him in his mighty heavens” (Psalm 150:1). Yadah – To praise the Lord with extended hand (yad), to throw out the hand. “I will bow down toward your holy temple and will praise your name for your love and your faithfulness, for you have exalted above all things your name and your word” (Psalm 138:2). Shabach – To praise the lord with a shout and a loud voice. “Because your love is better than life, my lips will glorify you” (Psalm 63:3). Towdah – To thank God for things at hand, as well as things not yet received. “He who sacrifices thank offerings honors me, and he prepares the way so that I may show him the salvation of God” (Psalm 50:23). Tehillah – A praise from your spirit; the residual (new) song of the Lord from the heart of the believer. The book of Psalms in Hebrew is titled, “Tehillim”. “Yet you are enthroned as the Holy One; you are the praise of Israel” (Psalm 22:3). Zamar – To praise the Lord with the playing of an instrument. “My heart is steadfast, O God; I will sing and make music with all my soul” (Psalm 108:1). Gil – To circle in joy, to dance in circles and rejoice. “This is the day the Lord has made; let us rejoice and be glad in it” (Psalm 118:24). So this is the heart of what it means to praise: To celebrate, to shout and applaud, to loudly commend and even to dance for joy. It’s an upward explosion of energetic expression to God! In terms of the cooperative relationship with God that we have looked at, praise is a response to God’s gracious invitation to us to lift our eyes to Jesus our Savior despite our feelings or circumstances. So why should we accept God’s invitation to lift our eyes to Jesus? In the next few posts, let’s look at 3 possible reasons for accepting God’s gracious invitation to lift our eyes to Jesus. Unthankful. This is probably one the most striking characteristics of those in our modern society. This ungratefulness is derived from the fact that most individuals live their lives with a sense of entitlement. That is, we believe that we have the right to fulfill every passion of our heart (immediately most of the time), that we have earned whatever position or authority we may have, and that any possessions or wealth we may have amassed are deserved. In reality, we are ignoring the One who gives us the desires of our hearts (cf. Psalm 37:4), the Source of all authority (cf. Romans 13:1), and “[the] God who made the world and everything in it [including our wealth and possessions]” (Acts 17:24). There is no worship of any kind, anywhere in this world, that is not worship. We can put this even more bluntly: There is no one in this world who is not, at this moment, at worship in one way or another, consciously or unconsciously, formally or informally, passively or passionately. 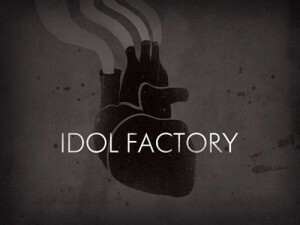 “Man’s nature, so to speak, is a perpetual factory of idols” (John Calvin). In other words, we are always worshipping something or someone. If it’s not God, then it’s our passions, positions, possessions, wealth, or ourselves. Without God, these become idols in our lives. The word “idol” comes from the Greek eidolon which can be simply defined as a mental or material image. When we add the suffix “-latry” (from the Greek –latreia which means worship or service) we have the word “idolatry”—the worship or service of a mental or material image(s). In short, we have created a god (with a lowercase “g”) to receive worship rather than worshipping God (with a capital “G”). As a result of believing that we are entitled, we have come to the point where we know God (cf. Romans 1:20) but neither glorify Him nor give Him thanks. This idea of claiming to be wise is especially clear in modern taxonomy. Man has been given the name “homo sapiens sapiens” meaning “wise, wise man”. But the Bible makes it clear that we are fools if we practice idolatry. Why is idolatry foolish? Jonah 2:8 says, “Those who cling to worthless idols forfeit the grace that could be theirs.” With idolatry, man becomes the ultimate deity; he becomes god. As a result, we are free practice all forms of iniquity. The ultimate goal? It is to “…enjoy the pleasures of sin for a short time” (Hebrews 11:25). It is just that—a short time—because God “has set forth a day when he will judge the world with justice by the man [Jesus] he has appointed. He has given proof of this to all men by raising him from the dead” (Acts 17:31). So what is the cure for our idolatry? If our idolatry causes us to be fools, as the Bible says, wouldn’t it be logical that we must truly become wise in order to forsake our idolatry and give God the glory He deserves? We are told in the Bible that, “The fear of the LORD is a fountain of life, turning a man from the snares of death” (Proverbs 14:27). Elsewhere in Scripture we are told that, “The fear of the LORD is the beginning of knowledge, but fools despise wisdom and discipline” (Proverbs 1:7). The author of Psalm 119 said, “My flesh trembles in fear of you; I stand in awe of your laws” (Psalm 119:120). Idolatry is a snare that leads to death; we need the fear of the Lord. We need God’s laws; we need God’s laws to impart wisdom to us. You shall not make for yourself an idol in the form of anything in heaven above or on the earth beneath or in the waters below. 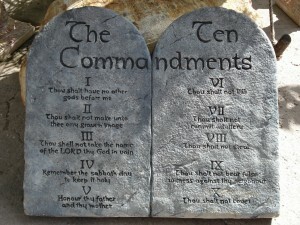 You shall not bow down to them or worship them; for I, the LORD your God, am a jealous God, punishing the children for the sin of the fathers to the third and fourth generation of those who hate me, but showing love to a thousand generations of those who love me and keep my commandments. He will punish those who do not know God and do not obey the gospel of our Lord Jesus. They will be punished with everlasting destruction and shut out from the presence of the Lord and from the majesty of his power. Christ lived the perfect life and died the perfect death in our place so we could be made right with God! All God requires of us is to “obey the gospel”. That is, we must REPENT (confess and forsake our sins) and TRUST completely in Christ and His work on the Cross. For those who have repented and put their trust in Christ, it should stand to reason that we should be the most thankful people in the world. Rather than exalting the creation above its Creator, we give thanks because of the Father’s kindness in saving us; we serve Him with our very lives. Paul sums it up well in his letter to the Romans: “Therefore, I urge you, brothers, in view of God’s mercy, to offer your bodies as living sacrifices, holy and pleasing to God—this is your spiritual act of worship” (Romans 12:1). Andrew Johnson asks Brandon Scott how he keeps Christ in Christmas. Watch as Brandon shares about the true meaning of Christmas and the reason for Jesus’ coming. Unashamed Worship Ministries is a 501(c)(3) non-profit organization. Our 501(c)(3) Determination Letter is available for public inspection during normal business hours. To obtain a copy, please contact us. Inspiring Worship: What’s Your Response? Welcome to the ministry, Alisha! Transparent and Real. A Revolution in the Way We Worship our King.